A native Taiwanese, Lider Chang was appointed principal timpanist of the Guangzhou Symphony Orchestra, which is one of the most prestigious orchestras in China, by Maestro Long Yu. He also teaches at Xinghai Conservatory in Guangzhou as Director of Percussion Studies. In January 2014, he premiered Michael Daugherty’s timpani concerto “Raise the Roof” in China with Guangzhou Symphony Orchestra. In 2015, he played David Metheny’s Concerto for solo drumset with Guangzhou Percussion Ensemble both in Guangzhou and Macau. 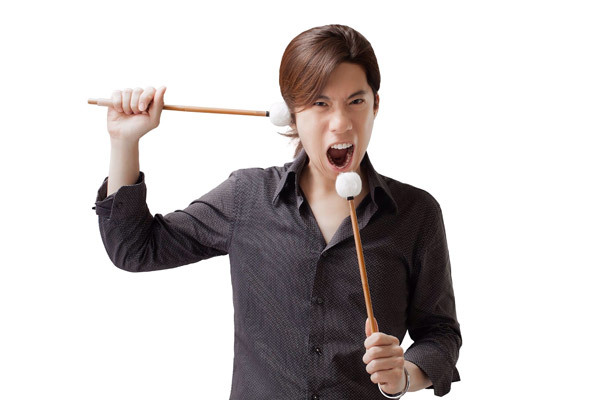 As a dedicated educator, Chang started the first Chinese blog for percussion education in Taiwan, it was recommended by the China Times as one of the best blog of the year. Currently is the column writer for percussion on Music Weekly in China. His latest projects include writing drums and percussion method books and giving masterclasses throughout China and Taiwan. Chang endorses Adams timpani/mallet instruments, Black Swamp Percussion, Schlagwerk Percussion, Canopus Drums and Zildjian Cymbal. As a drummer, I am always looking for the best sound, Canopus is the one I am happy and fully satisfied to play with. And Canopus takes care of every detail of drum-making that makes me can focus on music and playing, which really makes my dream come true!